Photo: Courtesy of R.E.M. / I.R.S. 35 years ago, alt-rock band R.E.M. released their debut album, “Murmur.” Six years later, Rolling Stone Magazine called them “America’s Best Rock & Roll Band." In 1983, when “Murmur” came out, “Karma Chameleon,” “Billie Jean,” “Flashdance…What a Feeling,” “Let’s Dance,” and “Every Breath You Take” were the biggest hit singles. R.E.M’s jangly sound is decidedly unlike that of their contemporaries, among whom stand Michael Jackson and The Police. Instead, the album’s sound is mellow and instrument-focused. The Georgia-based band’s lead singer, Michael Stipe, lets his accent show through his notably mumbled or slurred words. In a 1989 interview with Rolling Stone, R.E.M.’s lead guitarist Peter Buck said, “We were conscious that we were making a record that really wasn't in step with the times... It was an old-fashioned record that didn't sound too much like what you heard on the radio.” The album’s energy rarely rises very high, and its songs give way to jumping somewhat more than dancing. It has a sparseness to it: The songs generally maintain their feeling of quietude. From our current musical standpoint, R.E.M.’s sound no longer feels radical. After 35 years, the band is such a household name that their songs regularly appear in television shows and movies. In other words, they are far from niche. But when they first emerged onto the scene, their genre was somewhat undefined and hazy. 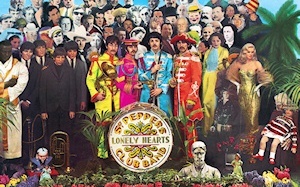 Both their music and aesthetic incorporate bits of folk, rock, pop, and post-punk, making them both unique and a bit familiar at the same time. R.E.M.’s music is in part a blend of styles that already exist, and in shifting our gaze, it reinvents the way we look at these genres. Right off the bat, “Murmur” is enigmatic. Its first song, “Radio Free Europe,” is almost impossible to understand. Stipe immediately surprises by singing in a mumble about media and freedom of speech in Europe. This sets the tone—“Murmur” is not an album full of love songs or heartbreak anthems. Much of it is about freedom, imprisonment, war, and making your voice heard. Its melodies aren’t dirge-like by any means, but the lyrics are often pessimistic: In “Talk About the Passion,” Stipe mumbles, “Empty prayer, empty mouths / …Not everyone can carry the weight of the world.” In “Moral Kiosk," the chorus reads “It’s so much more attractive / Inside the moral kiosk / Inside cold dark fire twilight.” The rest of the album isn’t any lighter. Gallows, scythes, tears, and horrific childhoods all come to mind as the songs continue. “Murmur” is cryptic and heavy—if you can make out what the words are. Although the album carries a quietness with it, it is rarely silent. All instruments fire at all times, and it’s often hard to pick apart what exactly you hear. 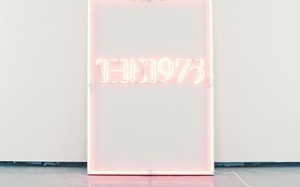 The instruments are identifiable, but deciphering what each one does is difficult, a testament to the album’s lo-fi quality: It has a staticky haze that goes undetected unless a listener is seeking it out, like white noise; it has a muffling effect, enhancing the album’s roughness in the days when grunge had yet to blossom musically; it follows well with the album—and band’s—theme. The indecipherable singing, cryptic lyrics, overlapping instruments, and the sound that didn’t fit perfectly into any genre 35 years ago all combine to create R.E.M.’s mysterious, or at least complicated, air. It may be harder for those of us who are college-aged (including myself) or younger to understand the significance of the album’s release. 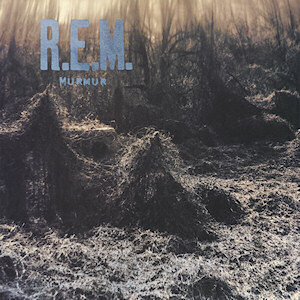 With its spontaneous yet purposeful quality, its one-take recording on many songs, and even its odd cover with a giant thistly plant, “Murmur” feels unique. Next to the neon and synths we so often remember when we look back at the '80s, R.E.M.’s grayness helps them stand out. At the same time, it can be easy to let each song blend together. When the instruments and lyrics are all so interwoven, the gaps between songs grows smaller. The R.E.M. “sound” is so specific that it’s easy to write all songs off as similar. But there’s a reason why “Murmur” received so much acclaim and is still held as one of their greatest albums. It is raw, rough, and one of the oldest remnants of a band that no longer exists. Arts staff writer Mila Gauvin II offers quick takes on Jon Bellion, Misterwives, Purity Ring, and The Killers at Governors Ball 2016. The album is a work of extreme minimalism that comes together through an incredibly tight flow, making “Gymnastics” an exercise in bringing the most out of bare bones.